Earlier today Nintendo finally released information on their new and much rumored hybrid console formerly referred to as the NX. As of today we know its actual name: “Switch”. Many details at this time are still vague at this time and this includes the price. But here is what we do know. 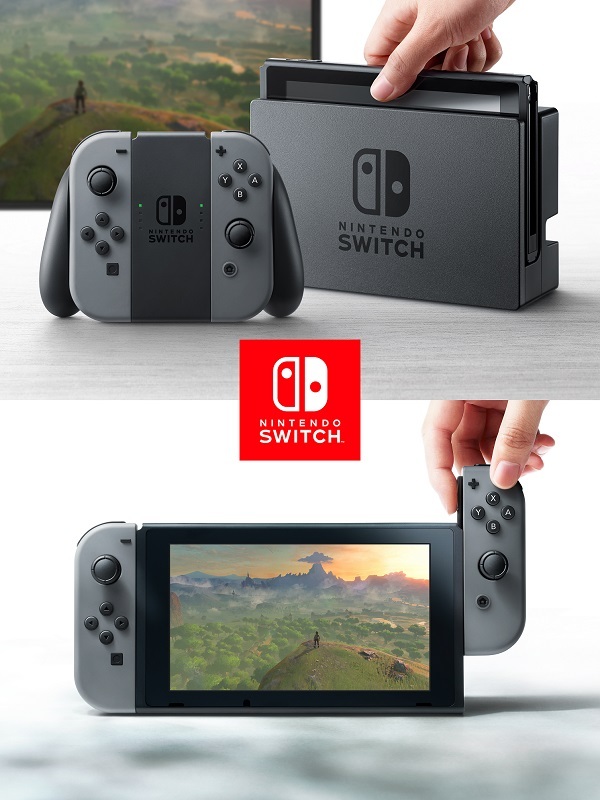 The console is a hybrid device powered by a custom Nvidia Tegra processor that is docked while playing at home on your big high def screen. but if you have to go on the road it changes to a hand held device. 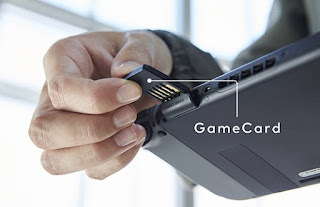 There are different ways to use the device when on the road, you can use it like a handheld or detach the controllers and use them while you have the screen part set on a table or the likes. The screen comes with its kickstand so you don’t have to prop it up awkwardly. 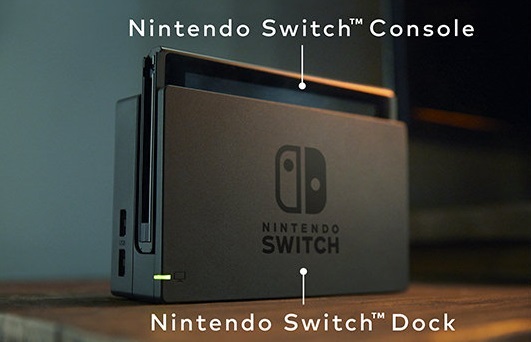 Interestingly Nintendo has stepped away from discs, games will be delivered on a DS (like) game card and possibly, if the WiiU and 3DS are any indication also as digital downloads. 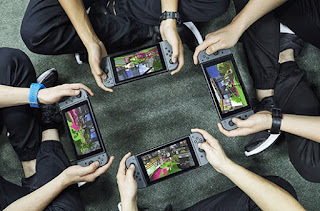 There is a heavy emphasis on (local) multiplayer, mainly used in a group /party setting. Nintendo seemed to have garnered an impressive amount of third party developers ready to release content for their new flagship console. A “pro” controller is seen in their introduction movie, leading us to believe it will be something ready on release day. The overall look of their new setup is sleek and lean looking as if they have grown up with their wii kids audience and are now looking to bring interest back to those same people now young adults with a new look. I like it a lot it looks well designed and feels less like a toy. This is not too say toys are bad but there are probably enough people out there that will feel a sleeker design will fit better with their lifestyle and home environment. From the initial footage there seems to be a good variety of games planned , we see some Skyrim gameplay , even though that is not confirmed as a launch title yet, Mario kart , Splatoon, basketball and the new Zelda. Nintendo has presented today looks fresh, innovative and like a real attempt at catching a crowd and have them enjoy videogames together in a social environment. The next few months will be very exciting as we learn more about Nintendo’s new future.